Flowers and tributes have been left in the lane were murder victim Bryan Jeffrey Knox was found seriously injured. Messages and flowers from loved-ones mark the spot in the quiet lane leading to Usworth Hall in Washington, where the 32-year-old was found with life-threatening injuries on Sunday. Mr Knox was airlifted to Newcastle’s Royal Victoria Infirmary, but sadly died later that day. Today Gary Thomas Mawson, 36, of Alwin, Rickleton, in Washington, appeared at Sunderland Magistrates’ Court, charged with his murder. Dressed in a blue Adidas T-shirt in the dock, Mawson only spoke to confirm his name, date of birth and address. District Judge Helen Cousins declined jurisdiction and sent the case to Newcastle Crown Court. Mawson, who was represented by Gavin Sword, will appear at Newcastle Crown Court tomorrow. During the short hearing a blonde girl blew a kiss to Mawson from the public gallery before he was taken down to the cells by the guard. Family and friends have lead tributes to Mr Knox, of the Barmston area of Washington. 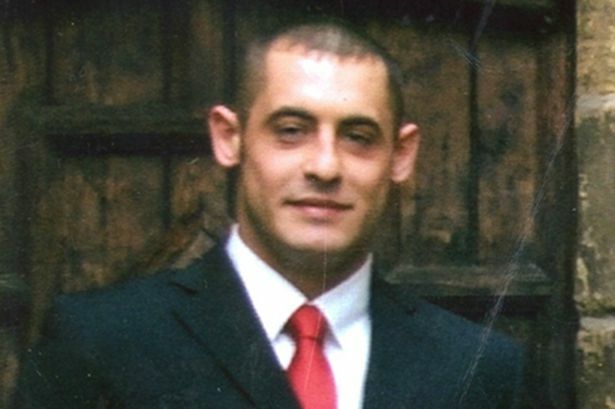 Police are continuing to appeal for witnesses after Mr Knox’s death at the weekend. Officers investigating the murder have spoken to a number of people and are continuing to appeal for witnesses to come forward. DI Andy Fairlamb said: “While we’ve spoken to a number of people about what happened we know the area is popular with people walking their dogs or passing through on foot, and I’d continue to encourage witnesses to come forward. Anyone with information is asked to contact police on 101 ext 69191, quoting reference 488 08/06/14, or Crimestoppers on 0800 555 111. Calls can be treated anonymously if necessary.